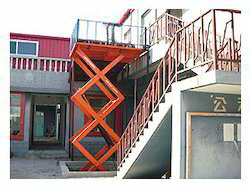 We provide a wide range of Industrial Lifts that are an easy means of transportation and safe for transporting material from one elevation to another. Manufactured from quality raw material, these are appreciated owing to their unique features like durability, user friendliness and high efficiency. 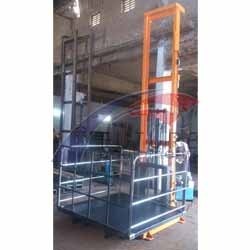 Used for various material handling applications such as material shifting from shop floor to up stairs and maintenance work, we offer a wide range of Industrial Goods Lifts. These are controlled with height limit switches and provided with mechanical stoppers that increase the efficiency of the Lift. To suit the varied requirements of the clients, we can also offer the customized range of the lift within committed time frame. Capacity: 500 & 1000 Kgs. 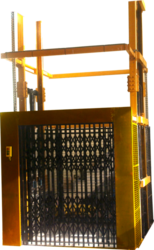 We are offering our clients an ideal Car Elevator which is in wide demand for its features of sturdiness, durability and smooth operation. The elevator range is basically ideal for lifting cars up from one floor to another. 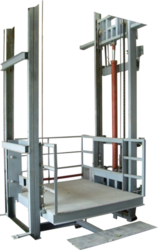 Not requiring any head room or pit, this elevator lift just requires efficient power at the time of operation. 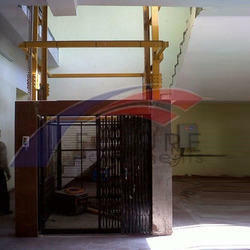 As a safety reason against instant power cuts the car elevator can even come down manually. Available capacity: From 1000 Kgs. to 10000 Kgs. 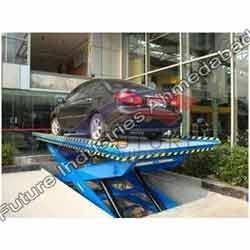 Good Lifts is used for various material handling applications such as material shifting from shop floor to up stairs and maintenance work, we offer a wide range of Goods Lifts. These are controlled with height limit switches and provided with mechanical stoppers that increase the efficiency of the Lift. To suit the varied requirements of the clients, we can also offer the customized range of the lift within committed time frame. We provide a wide range of Goods Lifts that are an easy means of transportation and safe for transporting material from one elevation to another. Manufactured from quality raw material, these are appreciated owing to their unique features like durability, user friendliness and high efficiency.